We would love for all of you to come out to our special free event; open to the public. 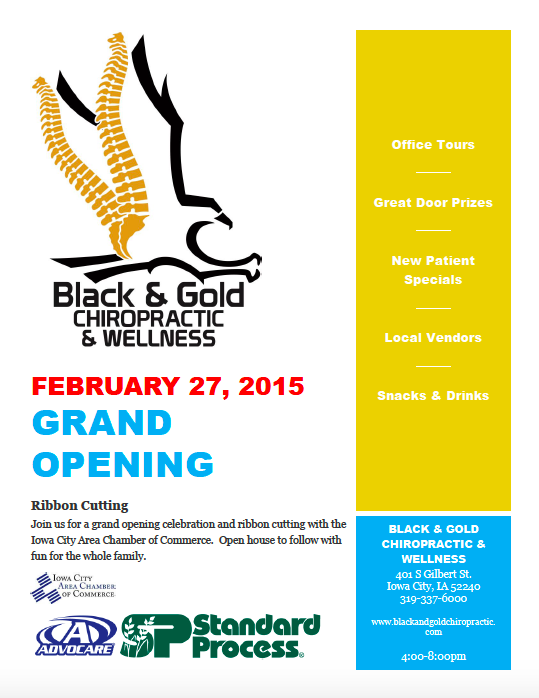 Our Grand Opening/Open House will begin Friday, February 27th with an Iowa City Chamber of Commerce Ribbon Cutting Ceremony at 4:00pm. We will then be having an Open House with office tours, new patient deals, local vendors, and plenty of food and beverages until 8:00pm.